ExoBalance has a great opportunity for you to make extra money with our affiliate marketing program. It is very easy for you to earn lots of cash and effortless to join. All you are required to do is fill out our contact information or call our toll free number at 866.300.7300. The program is actually quite simple. 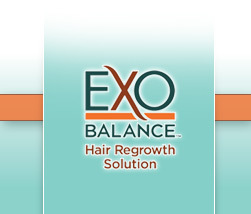 An affiliate will receive a 15% commission on each bottle of ExoBalanceÃ” Hair Regrowth Solution they sell. Affiliates DO NOT purchase or carry inventory and there are no â€œbuy inâ€� requirements. To help you in your marketing efforts, ExoBalance will offer a 5% discount for each first time user of the product and affiliates will extend these offers to their customers. 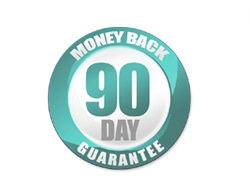 You will continue to receive commissions from this customer for as long as you remain an affiliate in good standing. Affiliates are paid each month. There are no minimum earning requirements to receive a check and the money is yours to spend any way you wish. Once you sign on as an affiliate, we will send you a welcome packet to help you in your sales efforts. We are available for assistance either by e-mail or through our toll free numbers. So hereâ€™s how it works. You sell a bottle to a friend or an associate. The price for the bottle is $49.95. You give the customer your unique promotional code number. The customer can then either go to the website or call the toll free number to place the order (you can also do this for the customer). 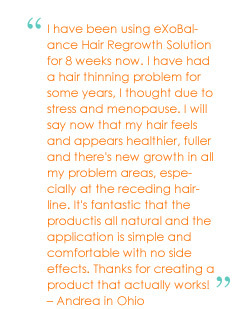 The customer will be prompted for the promotional code. Once it is entered, they will receive a 5% discount. They will be paying $47.45 for each bottle, plus shipping. Your commission for this sale will be $7.12.